In this post, I continue my series of articles about working with 100% silk fabric. Now I would like to talk about different types of stitches and seams appropriate for natural silk fabric. 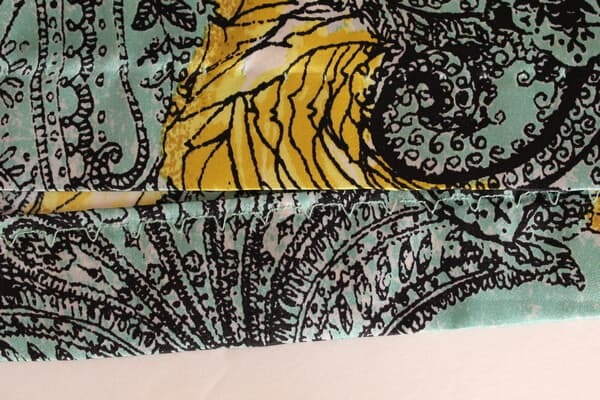 I know that basting and pinning are not among the very popular sewing techniques, but for many types of silk fabric, it makes perfect sense to baste and pin. The last thing you want is to screw up a 50 dollars a yard piece of silk trying to make something nice out of it faster. I am talking now about all kinds of basting: basting pattern pieces, basting hems, pleats, gathers, set-in sleeves, positioning pockets, etc. Basting is also very important for a first fitting. Most of the time I baste by hand when sewing “slippery” types of silk (charmeuse, chiffon, organza, georgette). It prevents slippery fabric from shifting when I stitch by machine. But I work only with a very fine, sharp hand-sewing needle so it doesn’t leave any holes in the delicate fabric after I remove the basting thread. The beginning and the end of the basting stitches should be secured. I try to use threads of contrasting color for basting but most of the time the color I use is white. Also, you can use a special basting thread which is easily ripped and can be quickly removed. 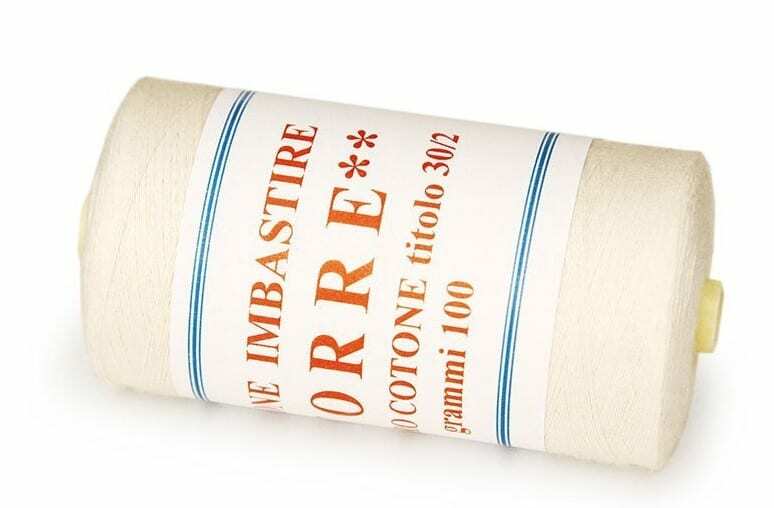 I recommend TORRE 100% Cotton Basting Thread, Made in Italy. It is off-white, breaks easily, when you want to take out your stitches, doesn’t knot up in long lengths, doesn’t distort the fabric when you pull it out. Please note: some links I share on this page are affiliate links. 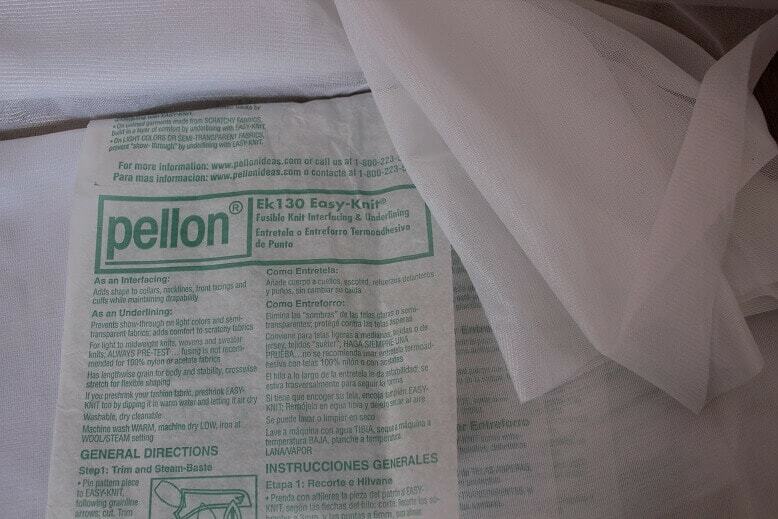 I only recommend useful things that can make your sewing life easy. 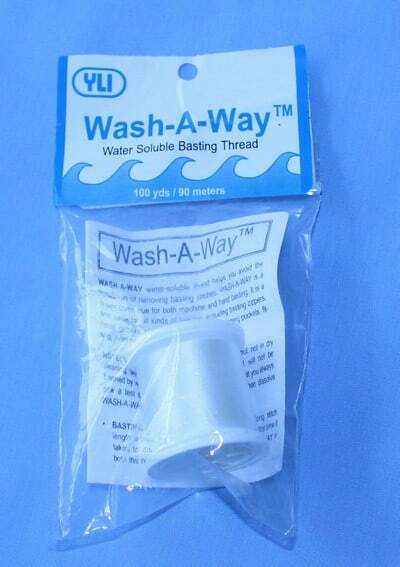 Now there is also a water-soluble basting thread ( called Wash-A-Way) which completely disappears with water or steam from an iron. This is really amazing basting thread. I used it a few times and it’s really convenient. Have in mind though that most types of silk fabric are water-sensitive materials and may be harmed by water so we can’t get the fabric wet. But natural silk can be pressed with a steam iron (I am doing it all the time). It is especially useful if you sew with the machine right on top of the basting. 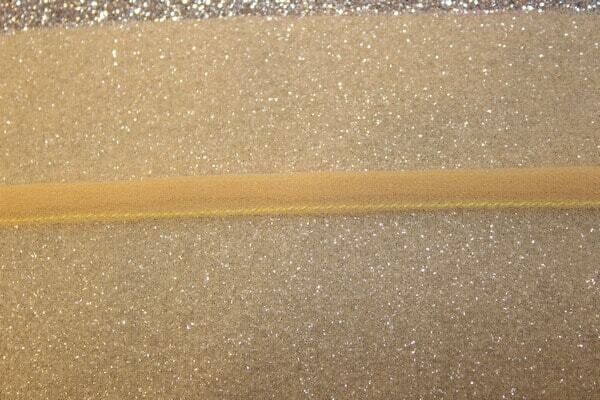 But if you don’t have the Wash-A-Way thread then the stitching line has to go 1 mm to the left from the basting line. Do not stitch directly on top of the basting thread or you will have a hard time removing it. 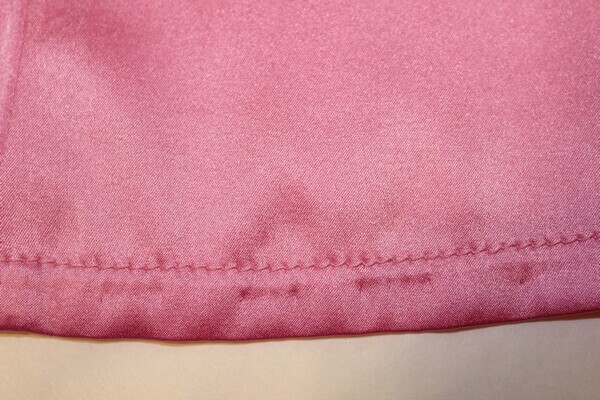 After seams are completed, it is better to remove basting stitches before you iron the seams, otherwise, traces of basting thread will be visible on the fabric, as you can see in the image below. Note: if you need to see a bigger version of any image on this page just click on the image and it will be enlarged. 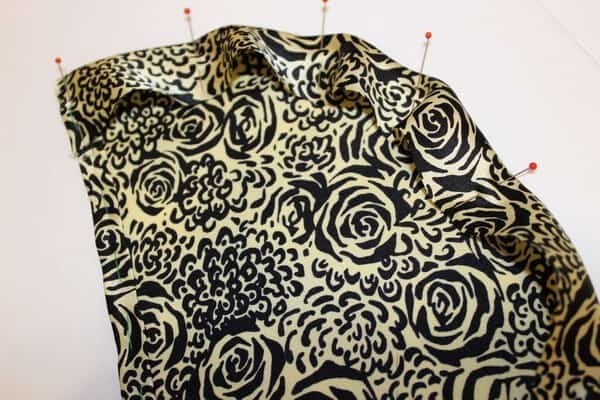 Now a few words about using pins for silk fabric. 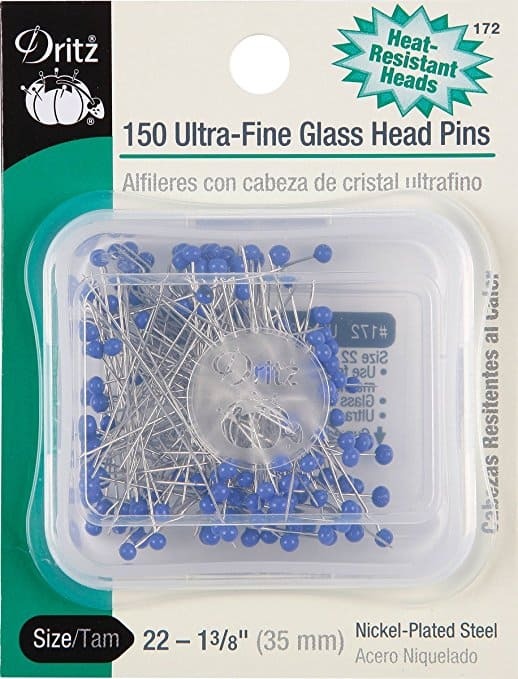 First of all, use only extra fine very thin long pins which don’t leave any holes after you remove them. 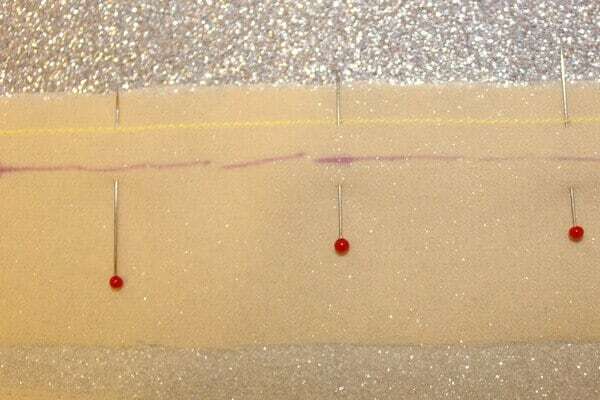 And second, for a very fine silk fabric (like chiffon) it’s better to put pins not perpendicular to the stitch line but parallel to it. 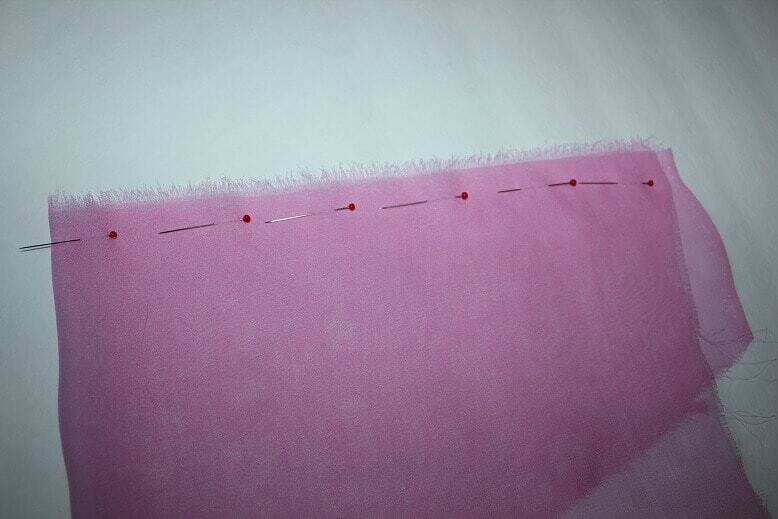 When you stitch by the machine just remove pins one by one as soon as the needle reaches them. Seam allowances should be exactly the same width on all pattern pieces. 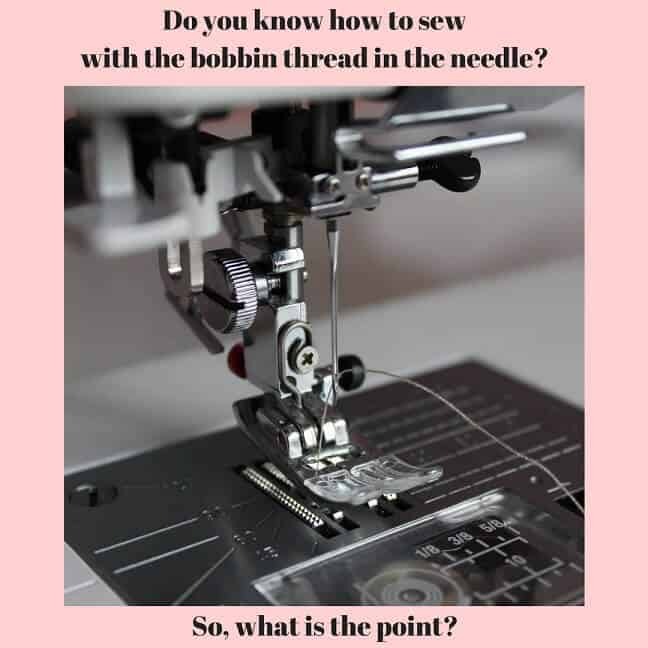 Use the edge guide of your machine, for example (marked on the needle plate) so that you always stitch the same distance from the fabric edge. Sometimes you will need to mark notches on the edges of your pattern pieces. For this make a small cut (5mm) into the seam allowance with sharp scissors. 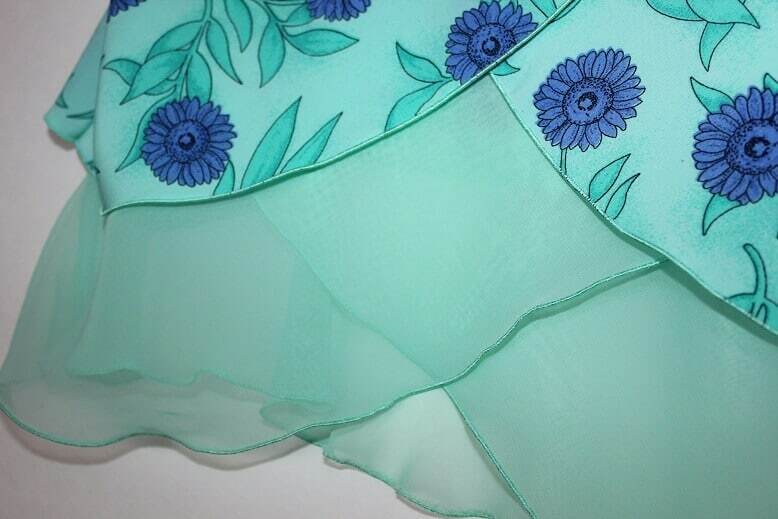 If you sew transparent silk fabric like chiffon, organza, mesh then you have to be very careful with seams – they will be visible through the fabric. So seams have to be the same width all over. 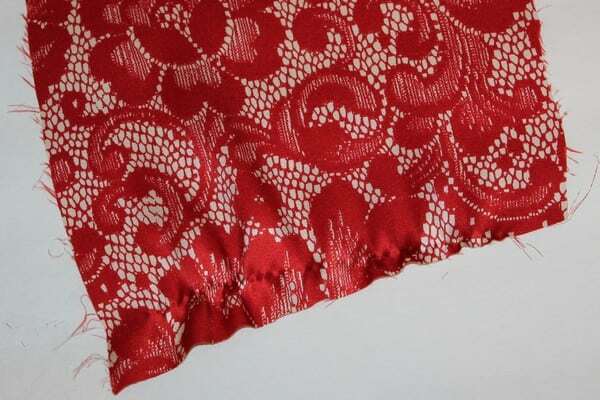 Unfinished edges of silk fabric often fray easily. If you have a serger then use the most suitable for the fabric overlock stitches. But sometimes serging can show through on the face side of the silk garment when ironing. So choose very fine threads to finish the raw edges. I use 100 weight 100% silk threads with the silk fabric usually. If you don’t have a serger, use a regular zigzag stitch of your sewing machine or a multiple zigzag stitch (it’s called a tricot stitch – 3 small stitches to the right alternating with 3 stitches to the left). For a temporary finish use pinking shears. Stitches must be straight, even and pass exactly along the seam line. Uneven curved stitches create bumps, distortions and imperfections of the seams. 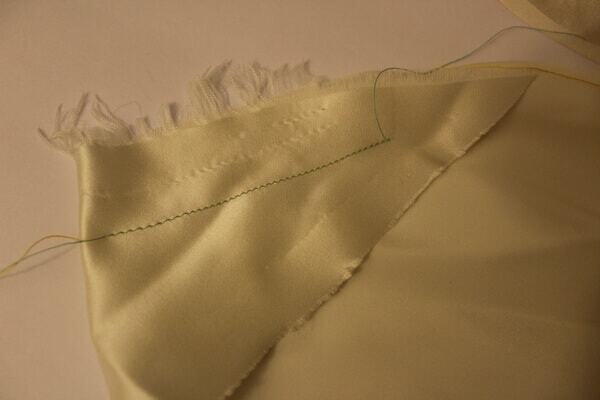 It is very important to adjust a stitch length for lightweight silk. It should be small – 1.5 -2mm. Please note that measurements in this article are provided in metrics so if you are used to working with imperial system please use this chat from www.craftsy.com or this chat from www.ludlowquiltandsew.co.uk. Never rip stitches in silk fabric, or you will damage it. 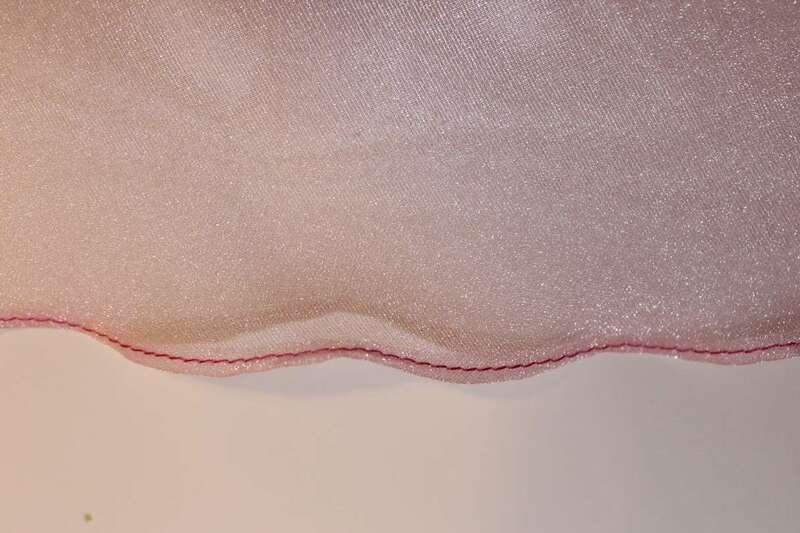 When sewing silk fabric (especially lightweight charmeuse, chiffon, organza, georgette, gauze) we use quite often special seams called French seams in which the allowances are hidden inside the seams themselves. 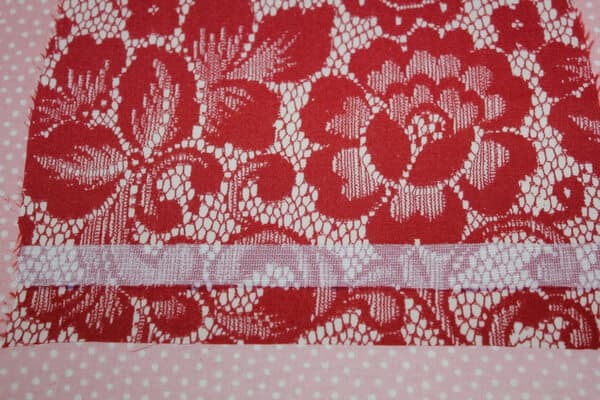 This kind of seams are very neat but they are mostly used for straight pattern lines while sewing bedding or for example side seams of clothing. French seams can be used only for lightweight or mediumweight silk. On heavy fabrics it would look bulky. 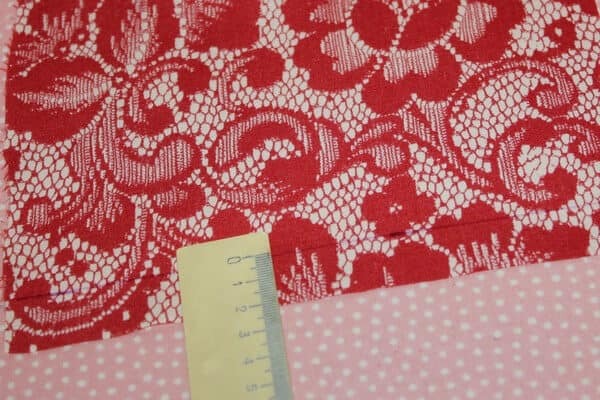 The width of the finished seams should be 5 -7 mm. Press it toward the back of the garment. How to make French seams? I have a tutorial about French seams on my blog . 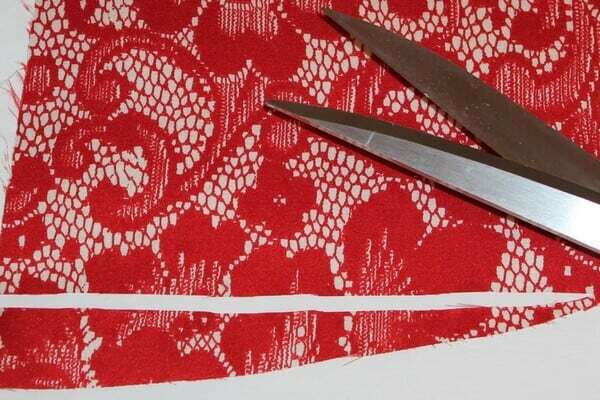 Here is a quick reminder how to make French seams. Place two pieces of fabric together with right sides up and wrong sides together. 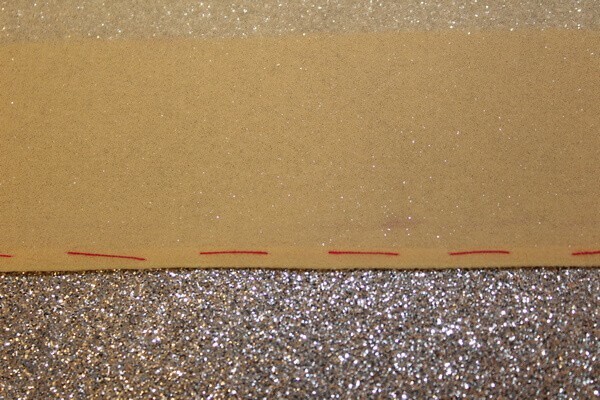 If seam allowances of your pattern pieces are 1.5 cm (5/8 in) then baste and stitch about 6-7 mm from the raw edges. 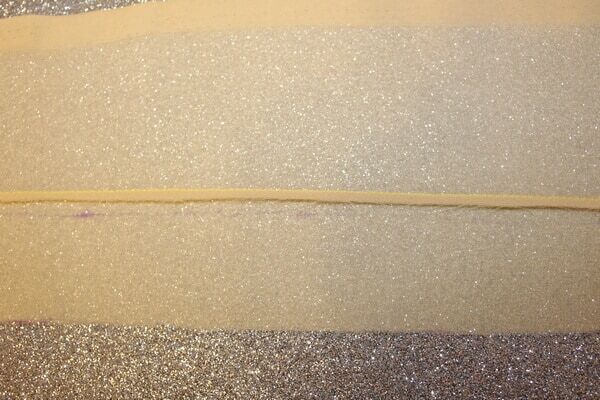 Trim the edges of the allowances along the entire length of the seam with very sharp scissors to 3 mm. Trimming can be also done with your serger and very fine lightweight thread. Unfold the fabric and press the seams on one side. Refold pattern pieces so the right sides are now together ( and wrong sides are up) and the fold line is exactly along the first seam. Baste, press and stitch 5-7 mm from the fold line so that the allowances remain inside. Press again on one side. It may happen that some whiskers will be poking through French seams in some places if you didn’t trim the edges proper or didn’t use a serger. So practice on scraps before actual sewing. 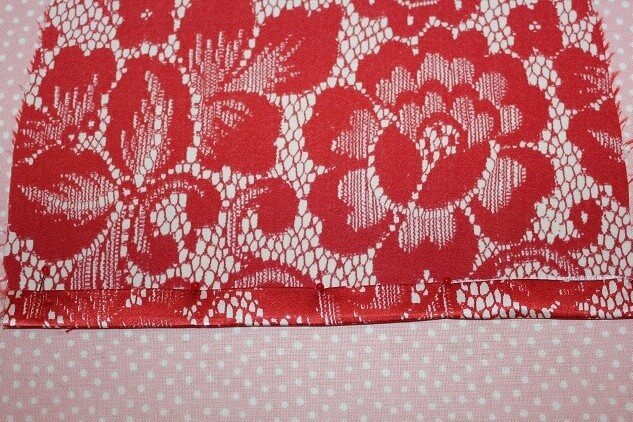 I use also flat felled seams with silk fabric. 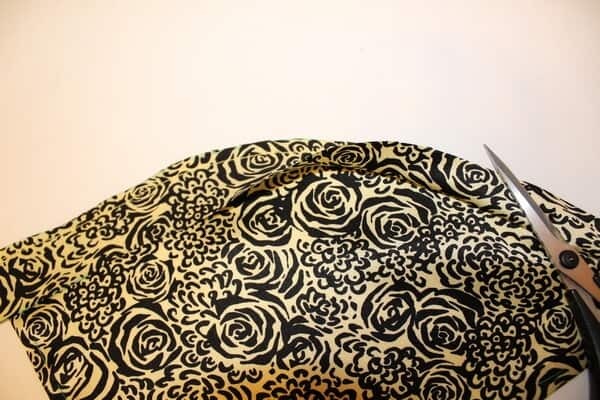 Here is my tutorial on how to sew flat felled seams the easy way. Stitch the seams in the same direction if possible. 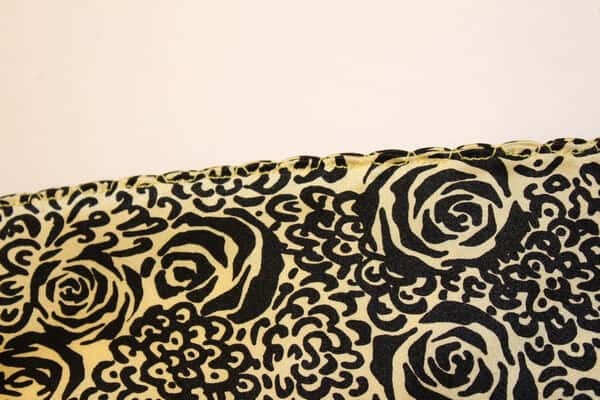 On lightweight silk fabric, reverse stitching should be avoided. Secure stitches by hand sewing. You will need to hide thread’s ends after you make a knot if your fabric is transparent because they will be visible on the right side of the fabric in some cases (when you make a dart for example). 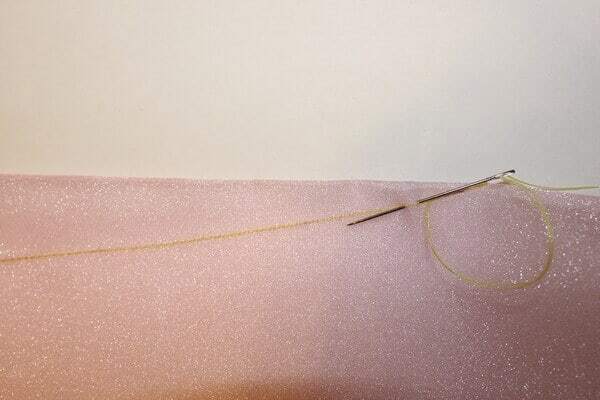 So after you finish stitching, leave thread’s ends about 10 cm long, make a knot and run both threads through the stitching with a hand sewing needle (just a few cm), then secure these stitches and insert the needle with thread into the dart. Pull the needle through and cut the thread. In this case, the surplus threads with stay inside the dart and will be not visible anymore. Or you can use a very interesting technique sewing only with a bobbin thread. Then you will not need to make any knots while sewing darts (and tacks also). Read how to do it in my article here. Now let me show you some amazing technique I use sometimes to sew hems for silk garments. It’s a little bit time consuming because hems are sewn by hand in this case but the result is really fantastic – on the front side of the garment there is absolutely no hint of visible stitches. Sometimes I feel like it is simply impossible to spoil an exquisite delicate silk blouse or dress with a line of stitches along the hem. Regular hem finishes just don’t fit the style of the garment. But this method is good only for straight hems. So, what are the steps? Make sure you cut the hemline straight. 3. 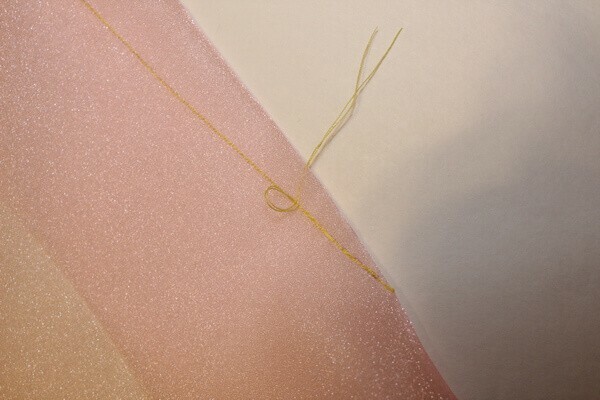 Apply a piece of thinnest knit fusible webbing 1.5 cm wide with an iron. I guess there are ready-made fusible tapes like this but I didn’t find them so I used my regular fusible knit interfacing (for knits) – I just cut a strip of it 1.5 cm wide. A regular fusible tape will not work well with delicate silk fabric, so for silk, I always use Pellon fusible knitted interfacing. 4. 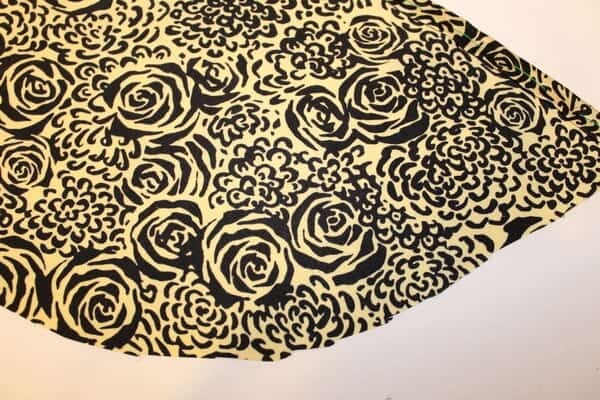 Fold the fabric edge to the bottom line of the fusible tape, baste and press. 5. Fold the hem again but now to the upper line of the fusible tape. You can use pins to do it. Baste and press again. 6. 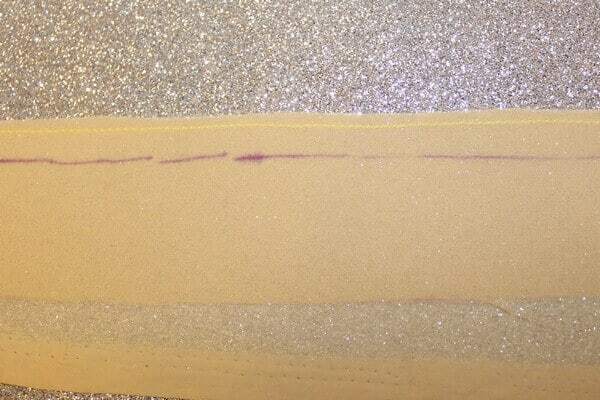 Sew the hem by hand with invisible stitches inserting the needle only into the fusible tape. Be careful not to grab some threads from the silk fabric. 7. Take out the basting thread and press. As you can see in the images above, the hemline is clean, without a hint of black thread stitches (I used the black thread just for this tutorial for you to see it clearly). Let’s continue with other methods of hemming silk garments. Sometimes it is recommended to hang the garment for at least 24 hours before finishing the hem to let the fabric stretch especially if it was cut on the bias. Depending on the fabric it may stretch quite a lot. In this case, remeasure the hemline and cut it again if necessary. Here is a small video how to do it. 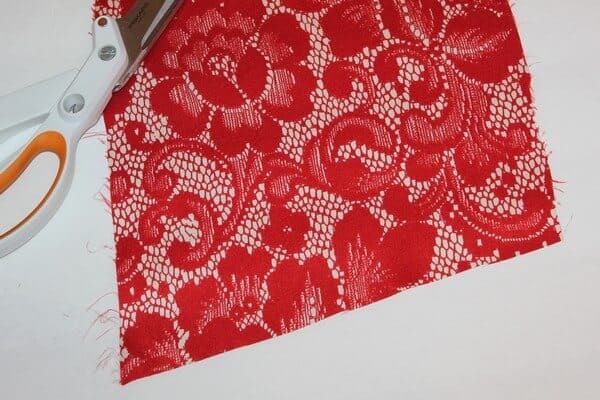 If you are sewing with knit silk, the hem may not need any finish because the fabric doesn’t unravel. I did it a few times with silk velvet. But most of the time we will need to finish the hem. There are several ways to hem but the rule is like this: the wider the skirt (or tunic) the thinner the hem should be. So the shape of the garment and type of fabric will determine which way of finishing to choose. Regardless of which type of hemming you choose, make sure you have a neat finish, no ridges can be seen on the right side of the garment and you don’t create any puckering of fabric when you stitch. If the silk fabric is medium or heavyweight, the hem can be 3-4 cm wide. Sew the hem by hand with invisible stitches. Or use a blind hem foot of your sewing machine. If you don’t want any small stitches visible on the right side of the garment use an invisible thread. For lightweight silk, you can use binding. 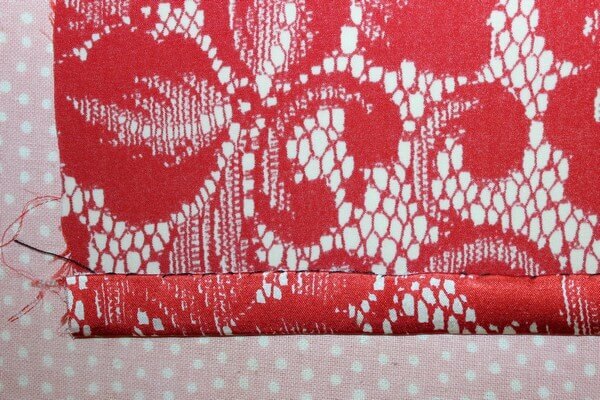 It can be done with a self-fabric bias strip, with a bias tape or a ribbon. 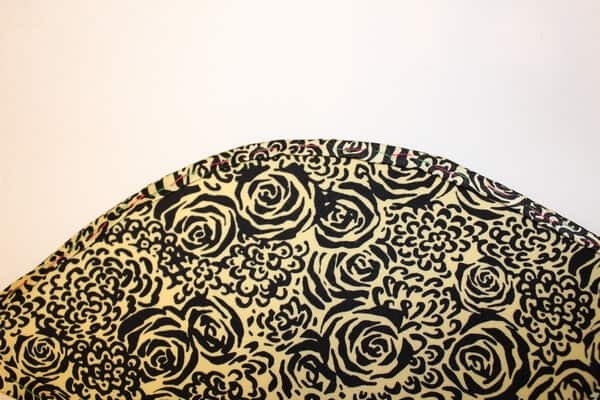 For example, if you need to hem a full-circle skirt, made from chiffon, georgette or charmeuse, you can’t just turn up a hem allowance, it wouldn’t be proper. 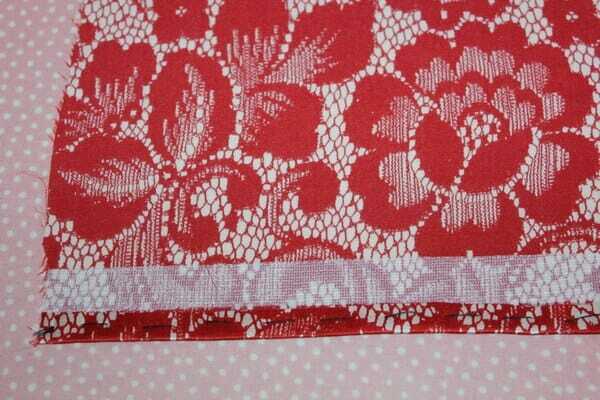 Instead, use self-fabric bias strips about 2 cm wide. Baste the strip to the hemline on the skirt’s right side about 1cm (3/8 in) from the raw edge and sew it to the skirt along basting line taking care not to stretch the binding as you stitch. 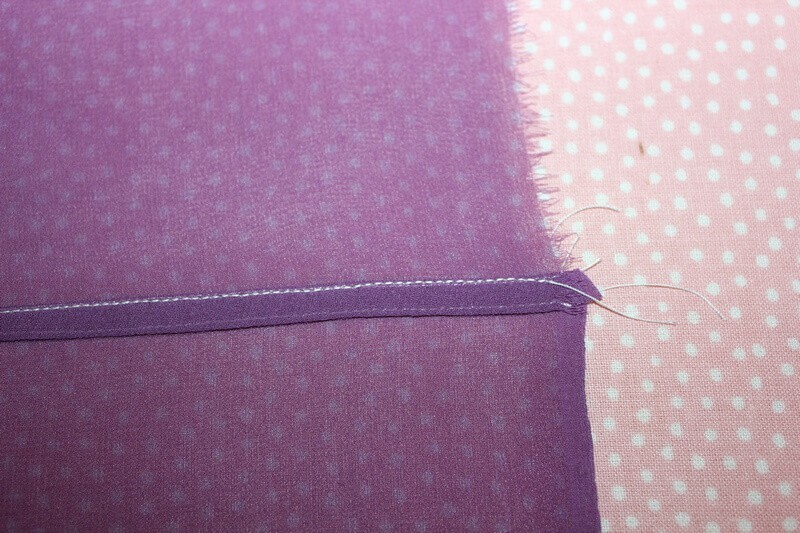 Trim the seam to 5mm, remove the basting thread, press it and wrap the strip over the seam to the skirt’s wrong side. Baste, press and stitch by hand or by the sewing machine. You can use a narrow, machine-stitched hem. 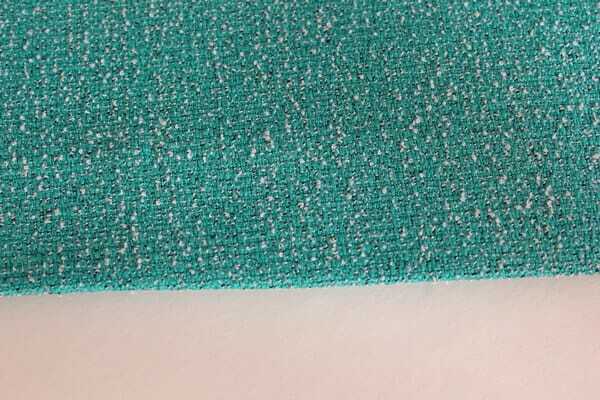 In this case the stitching will be visible on the right side of the garment, so keep the line of stitching very straight and precise and choose a thread of perfectly matching color. There is a special hemming presser foot to do this. 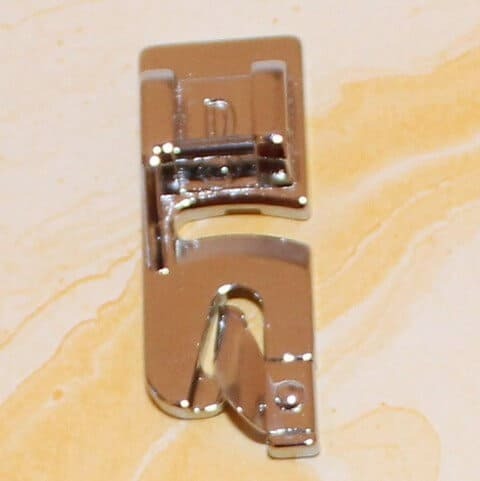 A very nice step-by-step tutorial on how to use the rolled hem foot you can find on this site: http://www.sew4home.com. 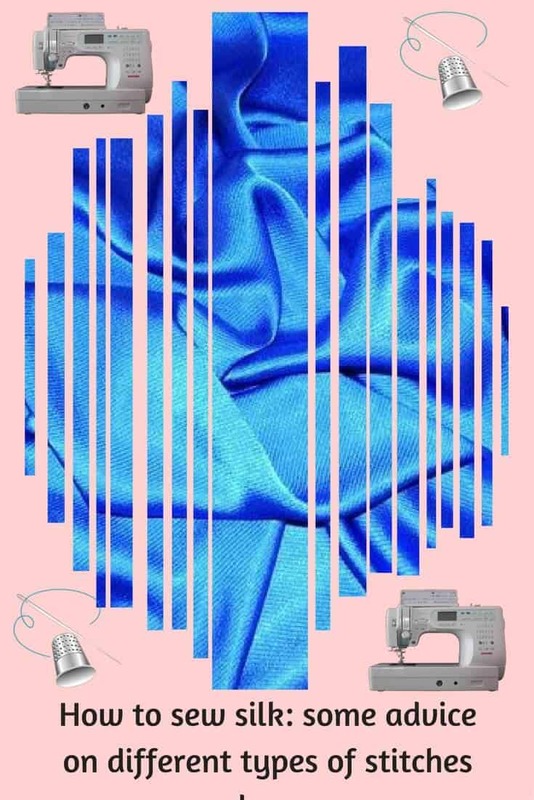 Hemming of lightweight silk garment can be done with a zigzag stitch of your sewing machine, especially with very thin thread. Adjust the width and the length of zigzag stitches, fold the edge of your hem inside about 1 cm and sew narrow zigzag stitch along the folded edge of your hem with one side of the zig-zag landing over the edge. The thread will wrap the edge of the fabric creating a rolled hem. 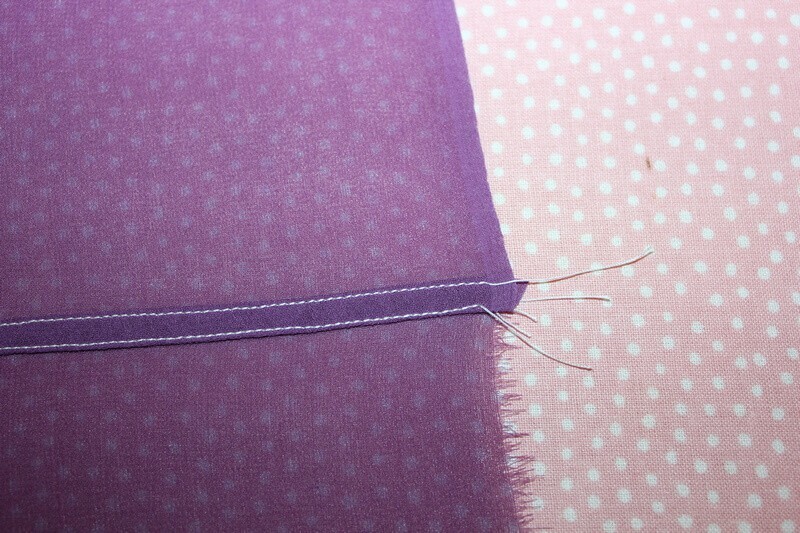 Carefully cut the fabric close to stitches. Or you can use special settings of your serger to do a rolled hem. 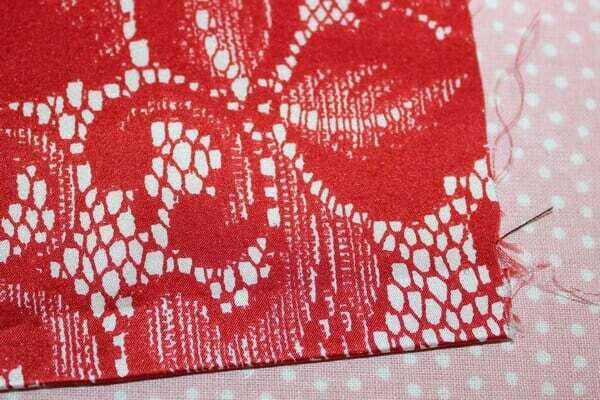 Check out this tutorial from http://www.allpeoplequilt.com. 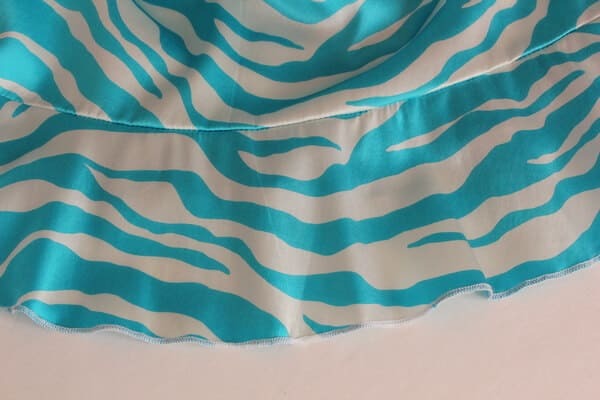 Very nice hem finish for lightweight silk can be done with a special decorative stitch that sews two or three straight and one long zigzag stitch. 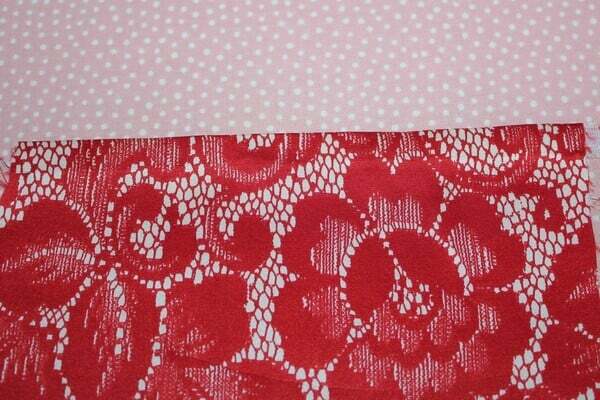 On my Janome sewing machine it is called Shell Tuck but I see that it can be called Picot Edge. 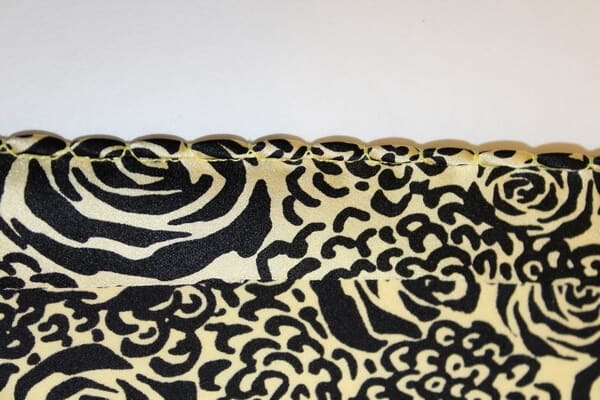 To sew this fold the raw edge of your hem to the wrong side about 1 cm, set your sewing machine for this decorative stitch and sew very close to the fold so the zigzag goes off the edge. 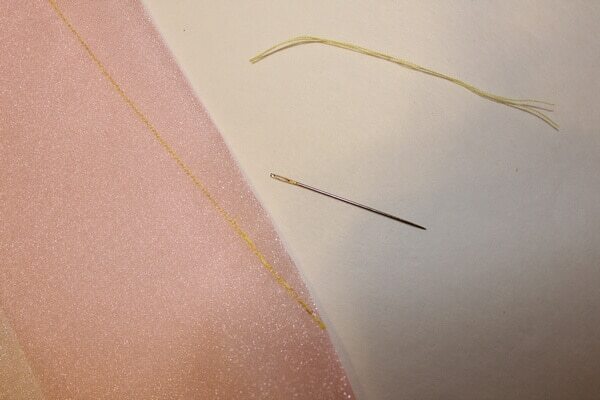 You may need to increase the thread tension of your machine so the needle will create a shelled edge. Carefully trim the fabric on the wrong side. I also suggest my article “How to sew a curved hem” which expands a little the subject. Would you like to know more about silk fabric types? Check out my very useful guide “Most common silk fabric types (and tips on how to tell them apart)”.